Eschew the tourist crowds and head to Mawson's Hut Replica Museum and Constitution Dock. Take a break from Hobart with a short trip to Bonorong Wildlife Sanctuary in Brighton, about 30 minutes away. And it doesn't end there: take your sightseeing to a higher altitude at Mount Wellington, admire the masterpieces at Lady Franklin Gallery, steep yourself in history at Cascades Female Factory Historic Site, and savor the flavors at Food & Drink. To find traveler tips, reviews, other places to visit, and more tourist information, read our Hobart travel route planner. Adelaide to Hobart is an approximately 4.5-hour flight. You can also do a combination of car and ferry; or do a combination of train, ferry, and bus. In June, daytime highs in Hobart are 15°C, while nighttime lows are 5°C. Wrap up your sightseeing on the 7th (Fri) to allow time to travel to Bruny Island. Vacations on Bruny Island ensure a chance to spot local wildlife, like penguins, many different birds, and echidnas. Start off your visit on the 8th (Sat): enjoy the sea views from Cape Bruny Lighthouse, then make a trip to The Neck, then look for gifts at Bruny Island Honey, and finally view the masterpieces at Art at The Point Gallery. To find other places to visit, ratings, photos, and tourist information, go to the Bruny Island trip planner . Getting from Hobart to Bruny Island by combination of car and ferry takes about 2 hours. Other options: do a combination of bus, ferry, and taxi. In June, plan for daily highs up to 15°C, and evening lows to 5°C. Wrap up your sightseeing on the 8th (Sat) early enough to travel to Coles Bay. You'll discover tucked-away gems like Dolphin & Whale Watching and Cape Tourville Lighthouse. Step out of Coles Bay to go to Bicheno and see East Coast Natureworld, which is approximately 32 minutes away. 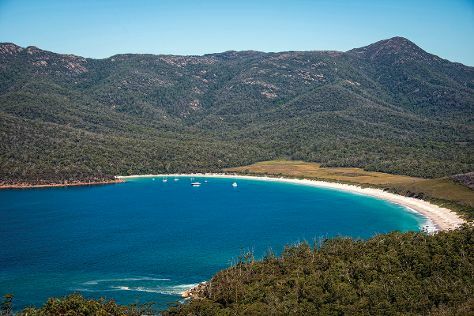 And it doesn't end there: make a trip to Bicheno Blowhole, get engrossed in the history at Bark Mill Museum, trek along Wineglass Bay Lookout, and take in the waterfront at Coles Bay Jetty. To see where to stay, other places to visit, reviews, and tourist information, use the Coles Bay day trip planning app . Traveling by combination of car and ferry from Bruny Island to Coles Bay takes 4.5 hours. Alternatively, you can do a combination of taxi, ferry, and bus. Cap off your sightseeing on the 11th (Tue) early enough to go by car to Port Arthur. 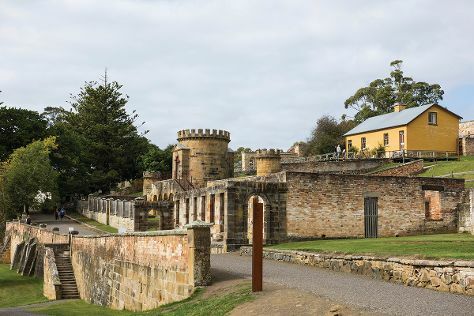 Start off your visit on the 12th (Wed): appreciate the extensive heritage of Port Arthur Historic Site, contemplate the long history of Australian Convict Sites, and then make a trip to Remarkable Cave. 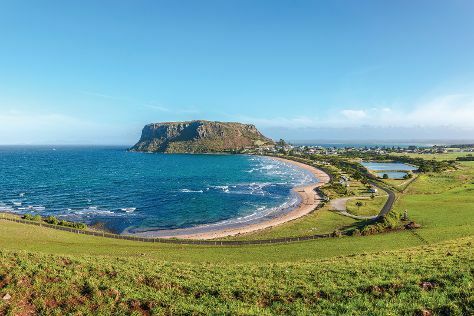 Keep things going the next day: hike along Three Capes Track, identify plant and animal life at Tasmanian Devil Unzoo, and then get engrossed in the history at Eaglehawk Neck Historic Site. To find other places to visit, reviews, more things to do, and other tourist information, use the Port Arthur journey maker app . Traveling by car from Coles Bay to Port Arthur takes 3.5 hours. Alternatively, you can take a bus. In June, daily temperatures in Port Arthur can reach 15°C, while at night they dip to 5°C. Finish up your sightseeing early on the 13th (Thu) so you can go by car to Launceston. Eschew the tourist crowds and head to The Tamar Valley and Beaconsfield Mine & Heritage Centre. Get out of town with these interesting Launceston side-trips: Beauty Point (Platypus House & Seahorse World). 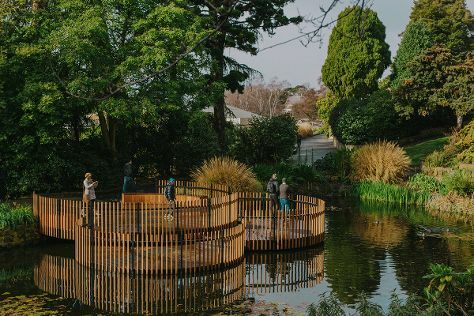 There's much more to do: identify plant and animal life at Cataract Gorge Reserve, look for gifts at Gourlay's Sweet Shop, get engrossed in the history at Queen Victoria Museum & Art Gallery, and see the interesting displays at National Automobile Museum of Tasmania. 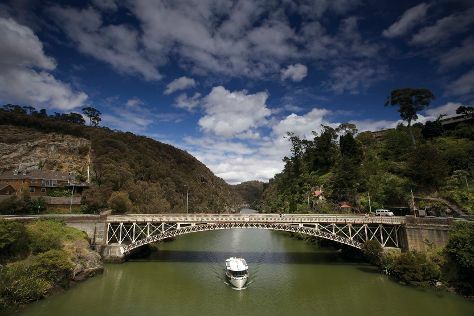 For traveler tips, other places to visit, maps, and tourist information, read Launceston trip planner. Traveling by car from Port Arthur to Launceston takes 3.5 hours. Alternatively, you can take a bus; or take a bus. In June, daily temperatures in Launceston can reach 13°C, while at night they dip to 3°C. Cap off your sightseeing on the 16th (Sun) early enough to go by car to Stanley. Stanley is a town on the north-west coast of Tasmania, Australia. Start off your visit on the 17th (Mon): stop by Sticks & Stones Shells & Bones, steep yourself in history at Highfield Historic Site, then identify plant and animal life at The Nut State Reserve, and finally don't miss a visit to Joe Lyons Cottage. Here are some ideas for day two: get great views at HA Lane Memorial Lookout and then cruise along Boat Harbour Beach. To see ratings, maps, photos, and other tourist information, you can read our Stanley online tour itinerary planner . Getting from Launceston to Stanley by car takes about 3 hours. Other options: do a combination of flight and bus; or take a bus. June in Stanley sees daily highs of 13°C and lows of 1°C at night. Finish up your sightseeing early on the 18th (Tue) so you can travel back home.